Change is good and we can help you count it! 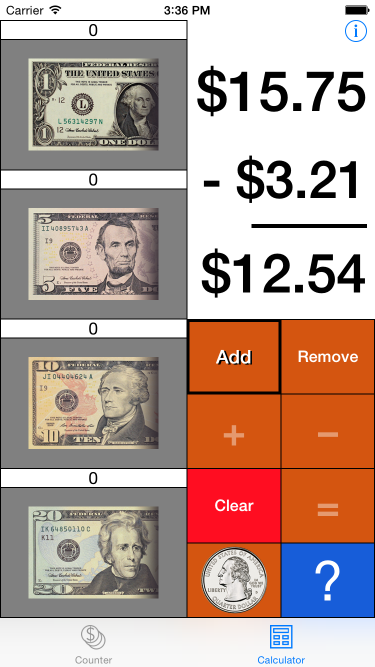 Learn more about the Visual Coin Calculator app for the iPhone. Got a pocket full of change? We can help with that. Change is good and we can help you count it. Got some loose change that needs counting? We've got you covered. Counter Mode makes counting change as easy as pressing a button. 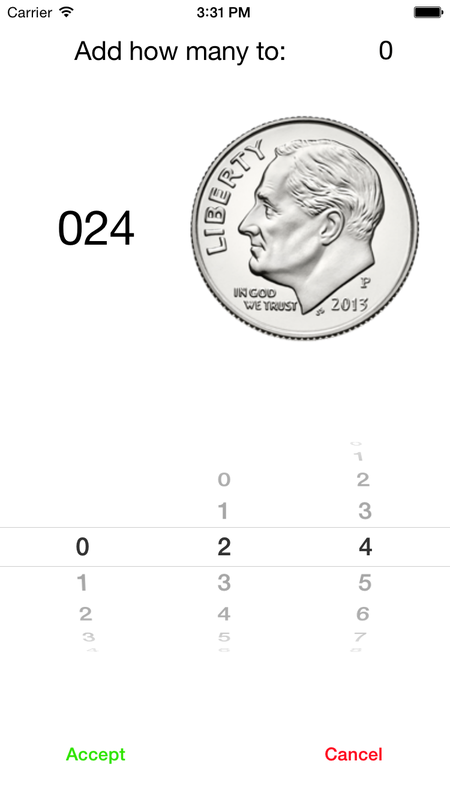 With each tap you can count how many of each coin or bill you have and see their total worth. Got a fist full of quarters? Just press and hold the quarter button to enter Fast Add mode and we'll count up all 999 of those beauties in a flash. That's $249.75 if you're counting. What better than a pile of loose change? Two piles! Let's add that up for you. Need to add up the money in your pocket and your piggy bank? We can do that. Need to know how much money you'll have if you spend all your quarters on playing pinball? No Problem.